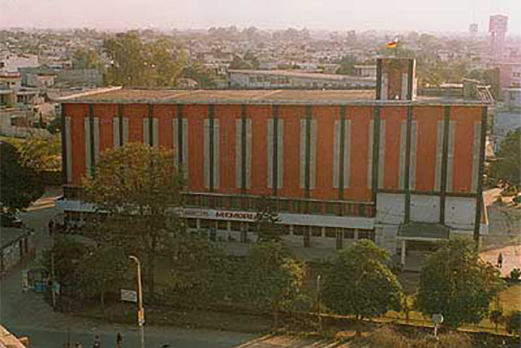 It is situated in the heart of Jalandhar City. 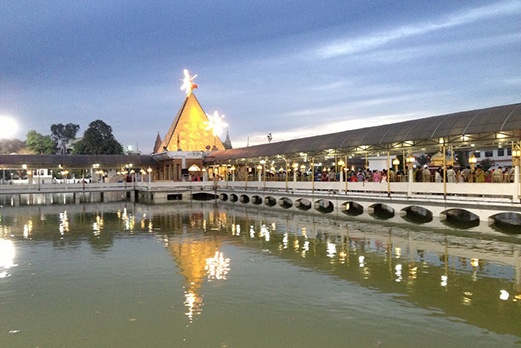 The old Devi Talab has been renovated and, in its centre, a new temple has been built. 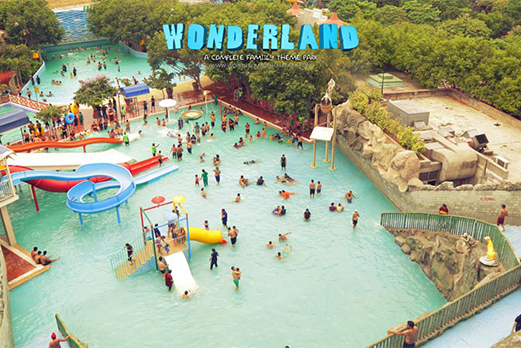 It is an amusement water park with water games and water rides. The Park spreads over 11 acres with many thrilling rides offering healthy entertainment to all age groups. 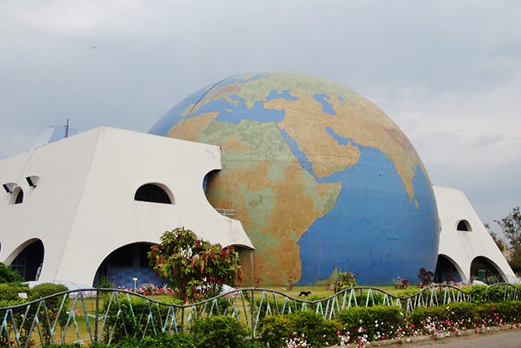 The park is located about 6 kms from Jalandhar Bus terminus and 8 kms from the Railway Station on Nakodar Road. This 800 year old beautifully designed mausoleum of Imam Nasir is located in the heart of Jalandhar. 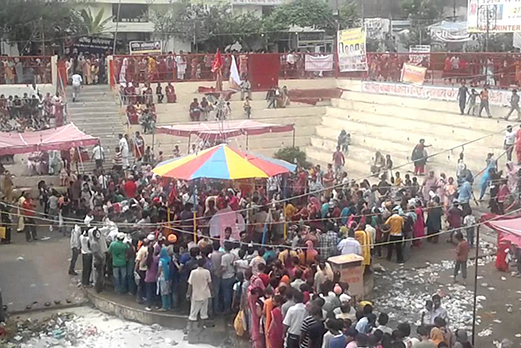 Sodal Temple is situated near Devi Talab temple on Sodal road. 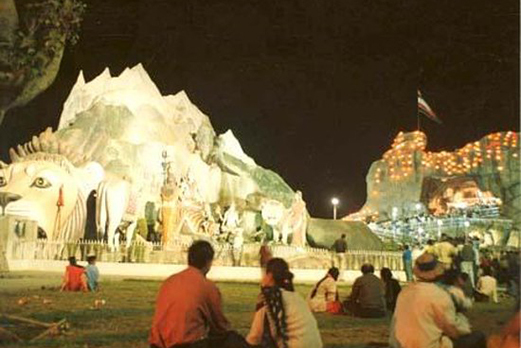 The Fair of Baba Sodal is held to memorialize the death anniversary of Sodal, a local child deity. An ancient monument in the City is the temple of Vrinda, wife of Jalandhara, in the Kot Kishan Chand locality. It is now also known as Tulsi Mandir. On one side of the temple is a tank which is said to have been the bathing place of the demon Jalandhara. Near the Balmiki gate is the Sheetla Mandir, said to be as old as the City of Jalandhar. Within its premises are also two small old temples of Hanuman and Shiva. A big fair is held here in month of August. 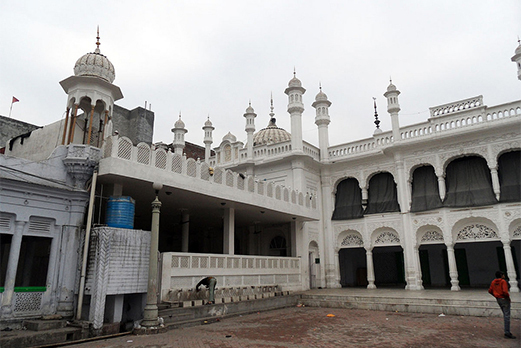 Guru Hargobind visited the city of Jalandhar during his tour of Doaba area. 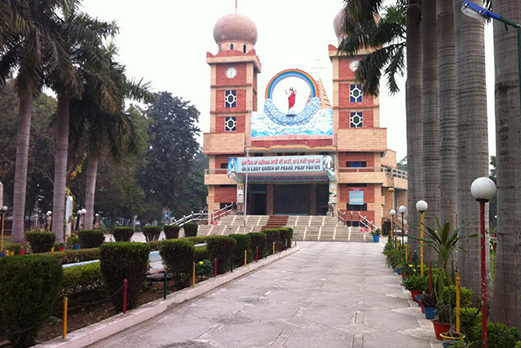 Gurdwara Chhevin Patshahi in Basti Shaikh, Jalandhar city, stands on the spot where Guruji had a dialogue with a Muslim holy saint popularly known as Shaikh Darvesh. 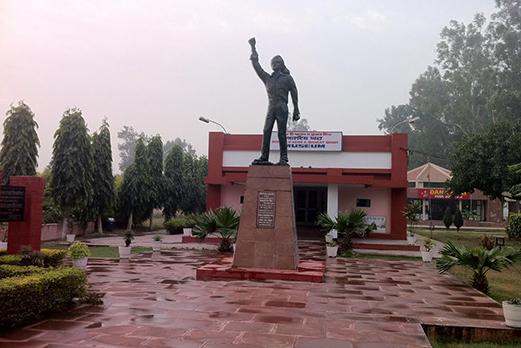 A museum at Khatkal Kalan, the native village of the great Martyr Sardar Bhagat Singh, was inaugurated on his 50th death anniversary. It was earlier in Jalandhar district, and has now become part of Nawanshahr district. 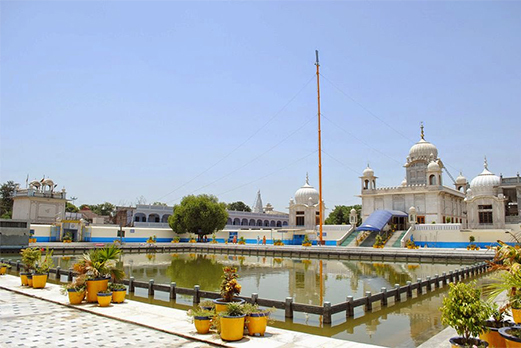 The Gurudwara at Kartarpur (16 km from Jalandhar town) was built by the Fifth Sikh Guru, Guru Arjun Devji in 1656 A.D. Every year, a fair is held on the birth anniversary of the Guru when a large number of devotees gather to pay homage. The old church dedicated to St. Patrick was built by Rev. Fr. John Macodnnel, Q.F.M.CAP of the Vicariate Apostolic of Agra, in 1947 at the same site of new church since 1886. Science City lives up to its aim of providing learning, fun & amusement, out of Science, for people of all ages & all walks of life. 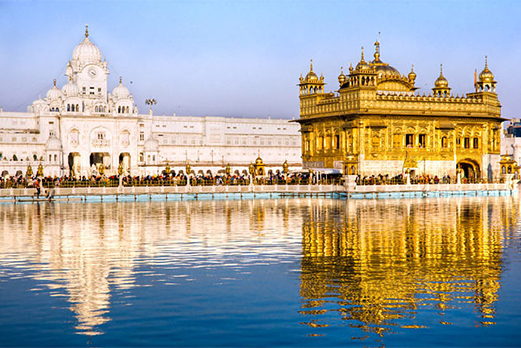 Although there are a number of Sikh shrines in and around Amritsar, Golden Temple is the biggest of all tourist attractions in Amritsar. The shrine houses the holy script of the Guru Granth Sahib and draws its name from the gold-laden dome upon a marble base. In 1919, the British Police fired randomly on a peaceful assembly of people gathered in demand of freedom, which killed hundreds of men, women and children on the spot. The bullet marks on the boundary walls brings alive the agonizing tale of cruelty of colonial rule. 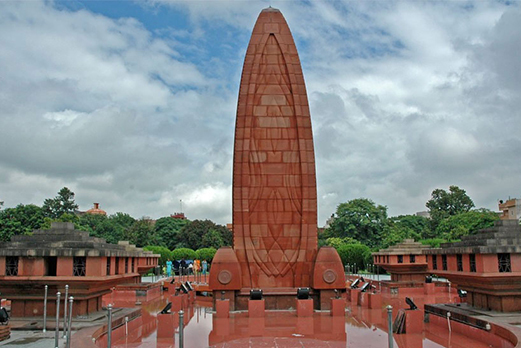 Another prominent tourist attraction in Amritsar is not a monument but a daily event. 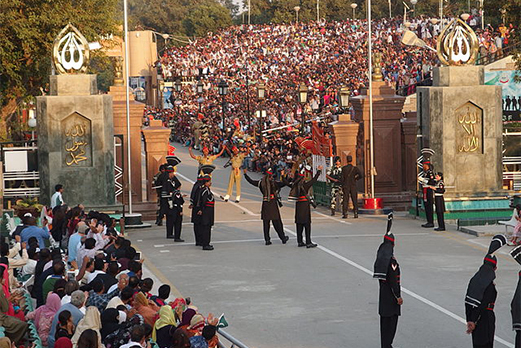 A little away from Amritsar, India shares international frontier with Pakistan. Every evening, the change of guard among national security forces at either side, just a handshaking distance apart, is a fantastic spectacle. 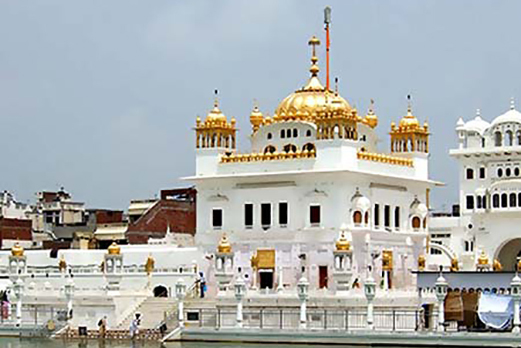 22 km south of Amritsar, Taran Taran, built in honor of Guru Ram Das is another important Sikh shrine. The architecture is largely inspired by the Golden temple. Popular belief is that the holy lake inside can heal leprosy.